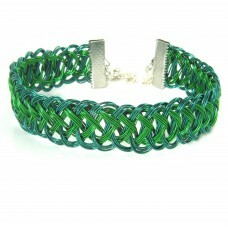 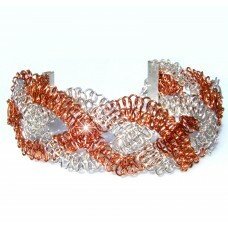 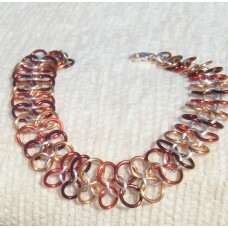 Multi coloured Autumn/Fall colours jump rings interlocking to create this individual bracelet. 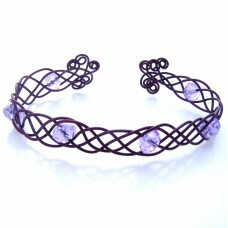 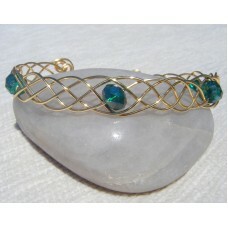 ..
Celtic Jewelry. 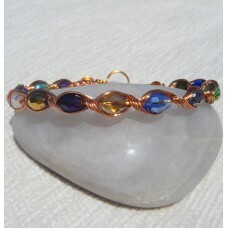 Choose from Multi Colored Wire Wrap with Multi Beads OR Purple Colored Wire Wrap wit..
Multi coloured teardrop beaded faceted bracelet connected by a non-tarnish copper wire.Length: 7 3/4..
Copper Wire encompassing Oval Multi faceted AB Beads. 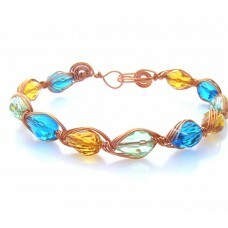 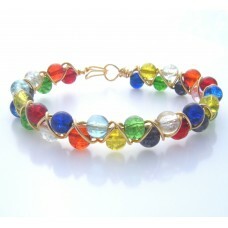 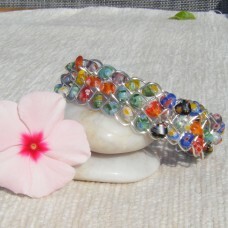 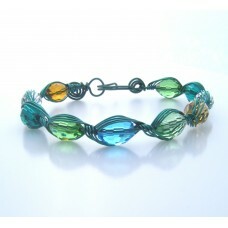 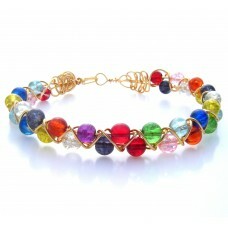 The 10mm multi faceted beads are coated..
Multi coloured crackle glass beads in a gold plated wire macrame knot bracelet. 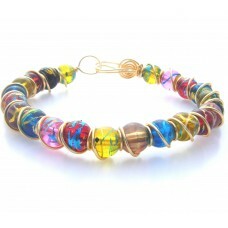 Crackle Glass .. 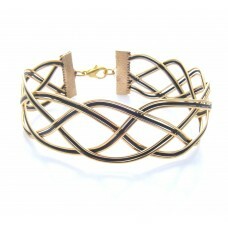 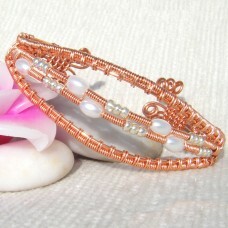 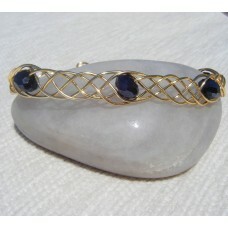 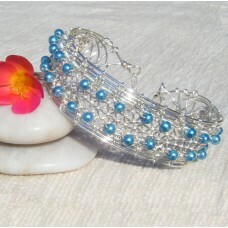 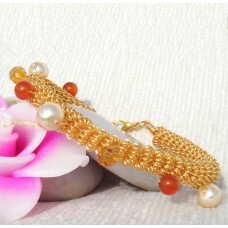 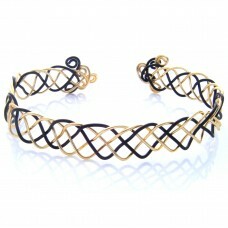 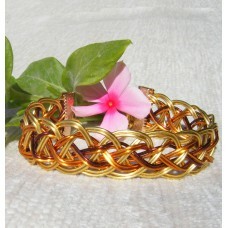 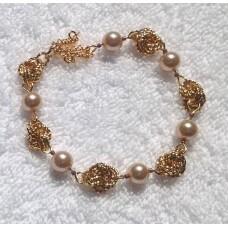 The Gold plated Wire criss crossed in a macrame knot to encompass each crackle glass bead. 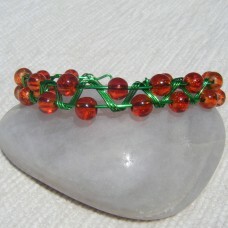 The ..
Emerald and dark green coated copper wire strands are entwined using a Kumihimo disc to create this ..